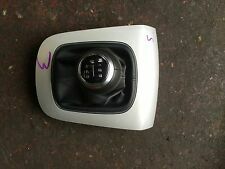 AUDI Q3 GEAR KNOB S- TRONIC 8U1713139. Condition is New. Dispatched with Royal Mail 2nd Class. AUDI Q3 8U 2.0 TDI. REMOVED FROM AUDI Q3 8U S LINE 2014 2.0 TDI QUATTRO AUTOMATIC GEARBOX. AUTOMATIC GEAR SELECTOR / SHIFTER. IF THERE IS A PART YOU ARE LOOKING FOR AND YOU CAN NOT FIND IT. 2015 Audi Q3 2015 On S Line Plus Quattro TDi 4WD 2.0 7 Speed DSG Diesel 5 Door Estate Gear Lever 5N2713025G All of our mechanical and electrical parts come with a 3 month warranty as standard, this covers the part itself but does not cover any labour charges incurred from fitment or removal of the item. (Terms and Conditions Apply). For extra peace of mind, extended warranties are available upon request at an additional charge. For more information please message us. Please be aware that all our items are removed from right hand drive vehicles unless otherwise stated. 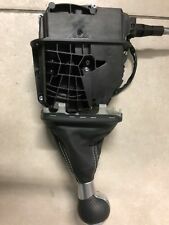 If you are unsure if this item will fit your vehicle or if you have any other questions then please call our parts department who will be happy to help. If you have any problems at all then please message us through eBay and we will happily help to resolve any issues. AUDI Q3 Automatic S Tronic Gear Shift Knob W/ Trim 8U 8P2713463A 8U0864261AG. Condition is Good. MODEL -AUDI Q3 1.4TFSI. Highlands, Ireland/Northern Ireland / Scottish islands/ Scilly Isles/ Isle of Man / Isle of Wight. GEARBOX-NTE 6 SPEED. MILEAGE -20K. make Supersized seem small. Get images that. Manufacture Part Number 8P0863278CHQQX. Note a1 a3 q3 s3. Type Gearsticks & Gear Knobs. Isle of Wight. Isle of Man. Channel Islands. Tested and in working order. The Scottish Islands. The Scottish Highland. Northern Island. Audi Q3 gearknob with leather gaiter and surround. Any item sent out by us incorrectly will be resolved within 24 hrs. Part number - 8P0863279A. Model - Q3 (8U). Year of Manufacture - 2017. Defects - Gaiter has torn spot,knob has few small scratches. Part number - 8P2713463A 8U0864261P. Model - Q3 (8U). Year of Manufacture - 2018. Used for RHD vehicles. Years, engine2016m., 135kw, 2000cc. The carAudi Q3. Interior Parts. Transmission & Drivetrain. Warranty on electronic devices is void if identifying mark is removed or has sign of tampering. We are always willing to work out any problems. The carAudi Q3. Transmission & Drivetrain. Looking for used car parts?. We have lots of spare parts listed, and about 500 000 spares in the warehouse! An item that has been previously used. Item will be sold as it is shown in the pictures. 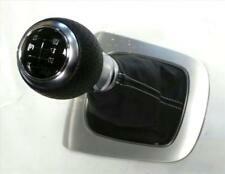 Part number: 8U1 713 139 B. Leather shift knob. Color: TAH - black. Audi Q3 8U. -Audi A5 8T 3 Audi A5 Sportback 8TA Audi A5 8F7 convertible. -Audi A3 8 p Audi A3 8PA Sportback Audi 8P7 A3 cabriolet. -Audi A3 8V1 Audi A3 Sportback 8VA Audi A3 8V7 cabriolet. Part Number. - 83A863278 H62. Audi Q3 F3 shift knob leather. Basically, all of us as used parts of the second-hand property of of part of subject to. Switch button with switch bag leather, for automatic transmission S-tronic, color: Black, lightweight signs of use present, used condition. Land Rover. Spare parts specific data. Part number - 8U0864261P. Model - Q3 (8U). Year of Manufacture - 2017. Audi Q3 8U / RSQ3. Shift knob / shift lever. twist the locking pin on the gear shift". Part number, whether the shift knob suitable to your vehicle is.". Accident-free VW / Audi vehicles. Do want a professional egg. Model - Q3 (8U). Year of Manufacture - 2014. 5Speed Universal Aluminum Manual Car Gear Shift Knob Shifter Lever Black Leather. MT - reverse need not install the lift gear shift knob. 5,Tighten the small screw. No modification required, directly upgrade your original knob. Universal 5 Speed Leather Black Stitche Manual Car Gear Stick Shift Knob Shifter. Directly replace of original shift knob, no modification needed. 1x Leather Gear Shift Knob. Note: this shift knob only fits for circular gear lever. Part number - 8P2713463A 8U0864261AG. Model - Q3 (8U). Suitable For RHD. Produkttyp S-Tronic Schaltknauf. Audi Q3 8U leather. Part number-8U1713139F TAH. Gear lever knob S-line S-tronic A46 / 14. Certoplast car tape tape tape 15 mm 50 m for VW AUDI BMW MBEUR 7.65. Original Audi SMD LED number plate lights indicator lights 8 p bulb SETEUR 39.85. Audi A3 8L. Audi A3 8P. Audi A3 8V. Audi A4 B5. AUDI A4 B6 / B7. Model - Q3 (8U). Year of Manufacture - 2012. 20-PIN distributor adapter cable wiring harness plug & play for VW Audi seat factory radiosEUR 7.95. For Audi A3 8 p A4 8E A6 4F Q7 2 x LED light lights Kit CANBUSEUR 13,85. Certoplast car tape tape tape 15 mm 50 m for VW AUDI BMW MBEUR 7.65.